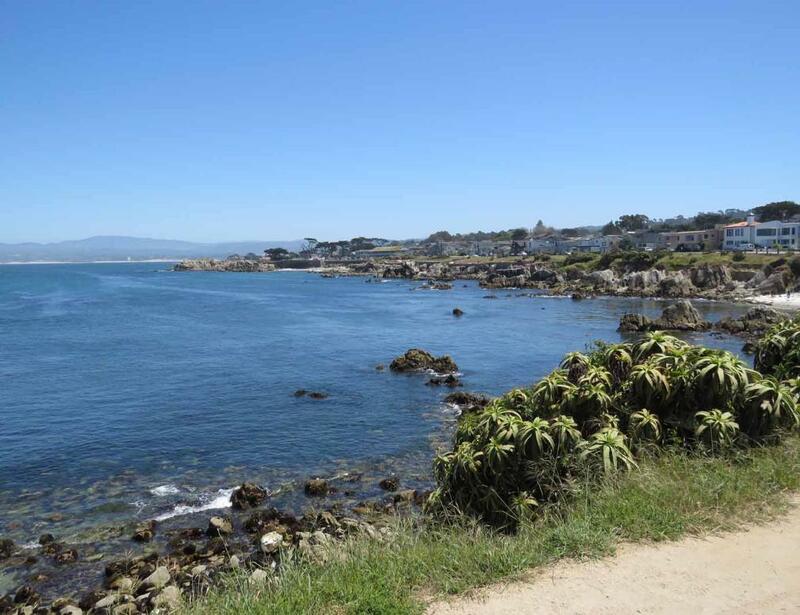 makes for a pleasant and relaxing stroll. 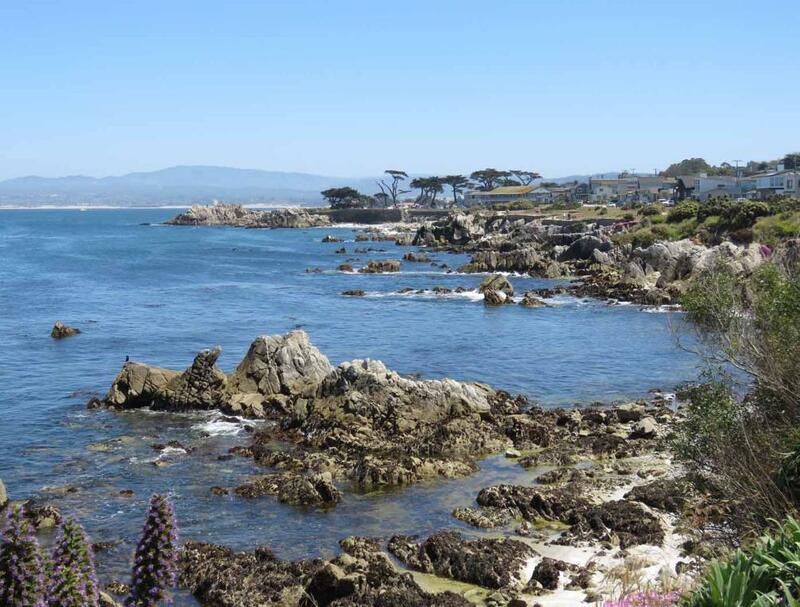 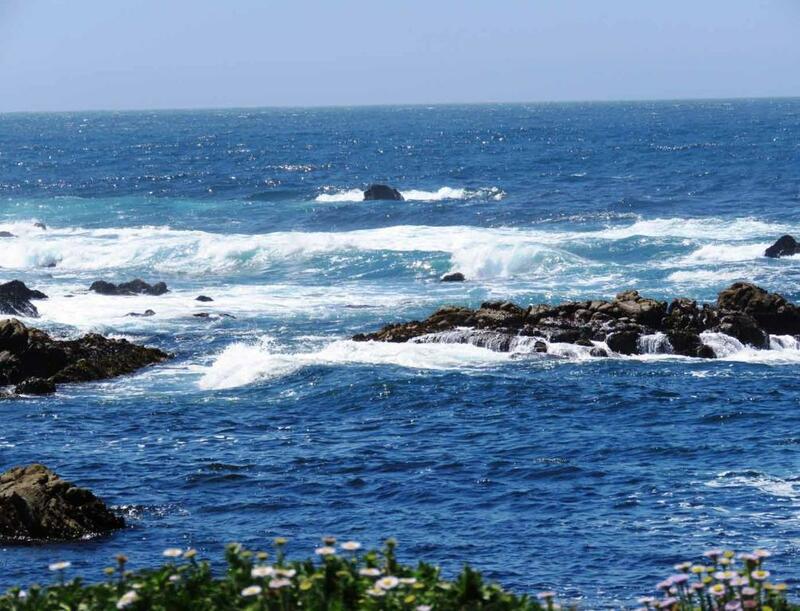 and near Pebble Beach, and Carmel. 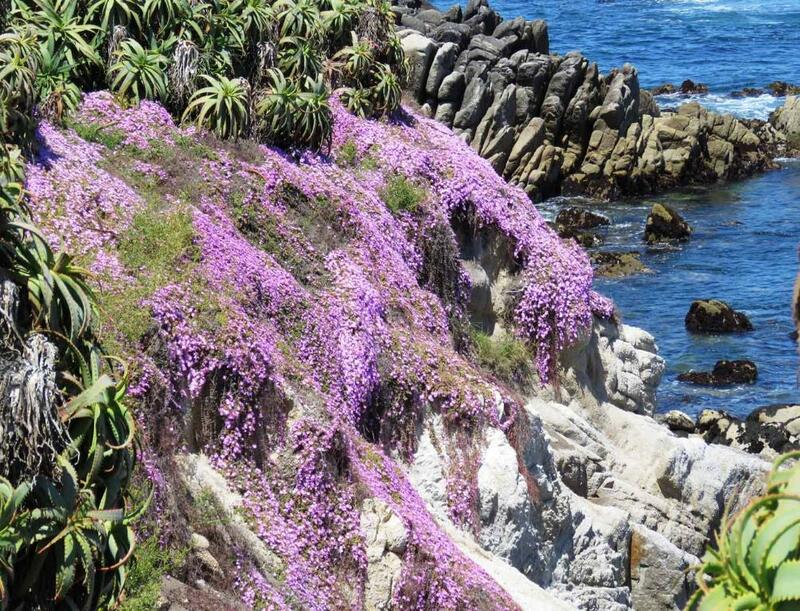 flowers blanket the rocky coast for a truly neon spectacle set against the blue Pacific Ocean. 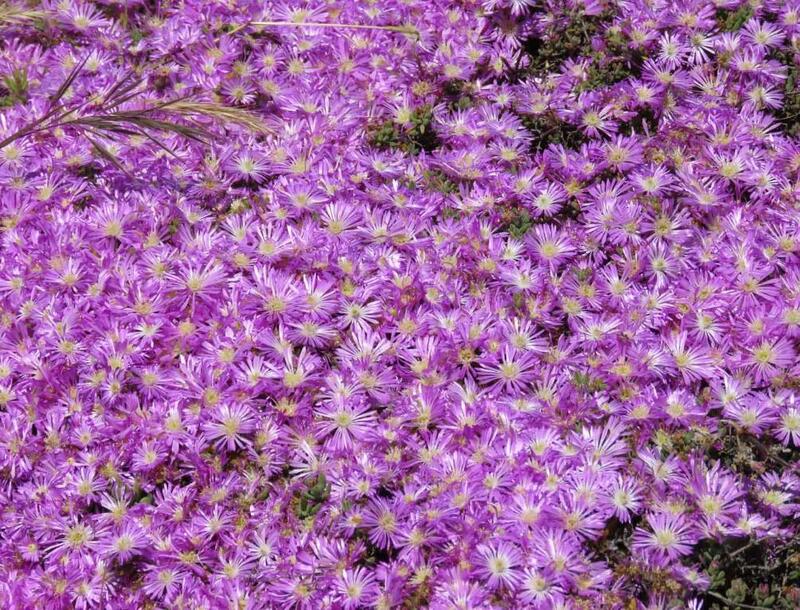 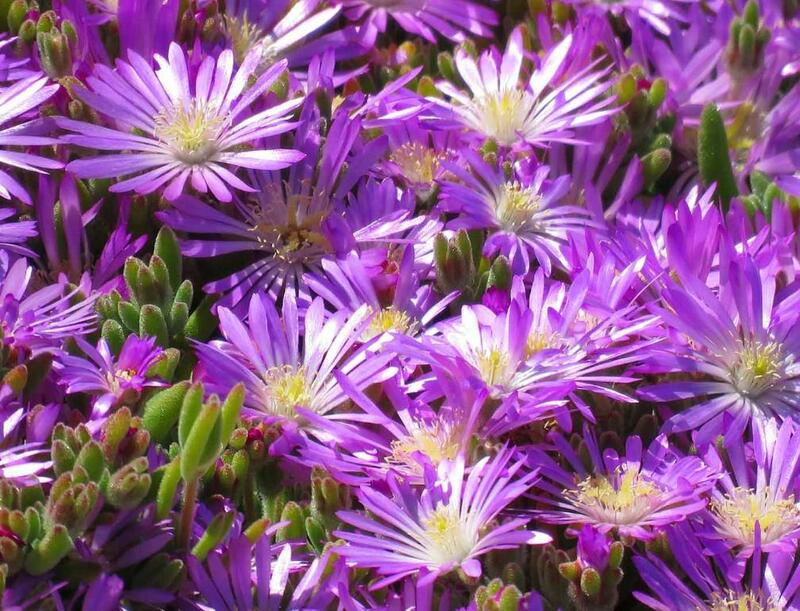 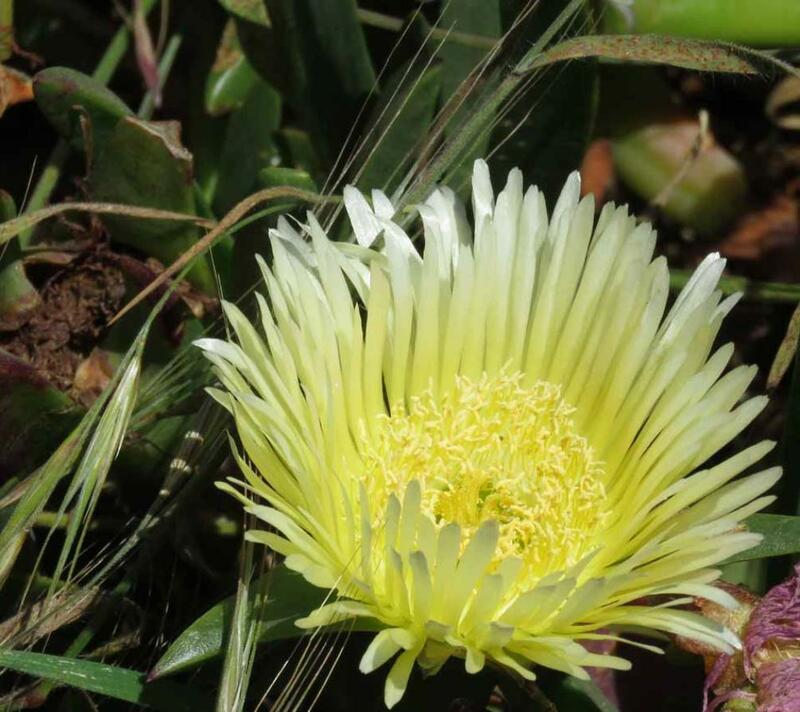 Close up views of the magic carpet of ice-plant flowers. 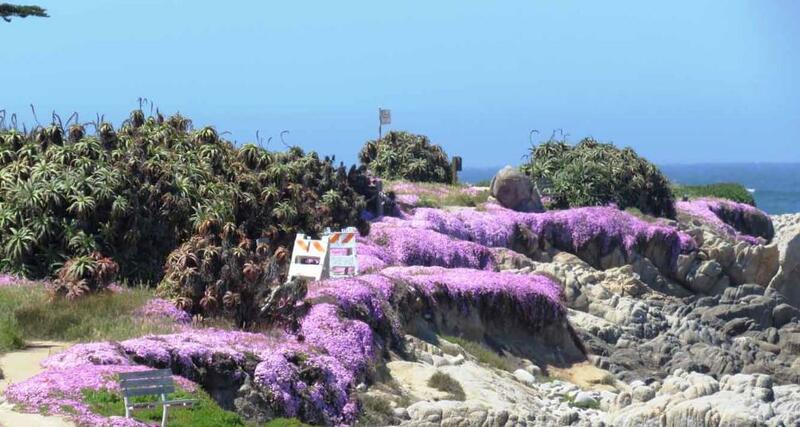 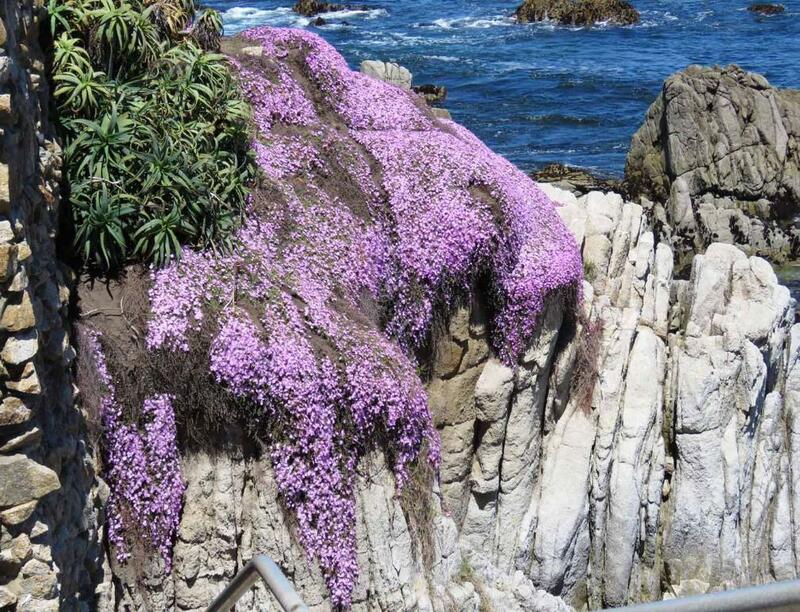 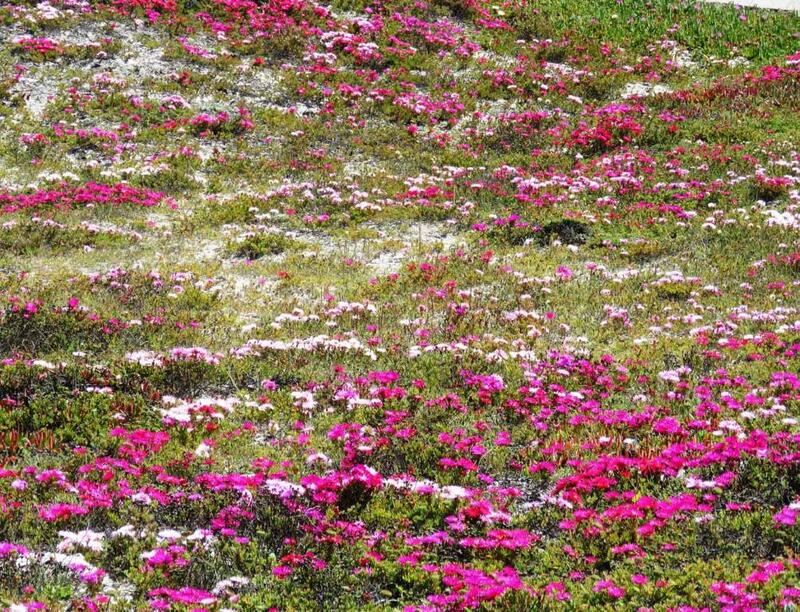 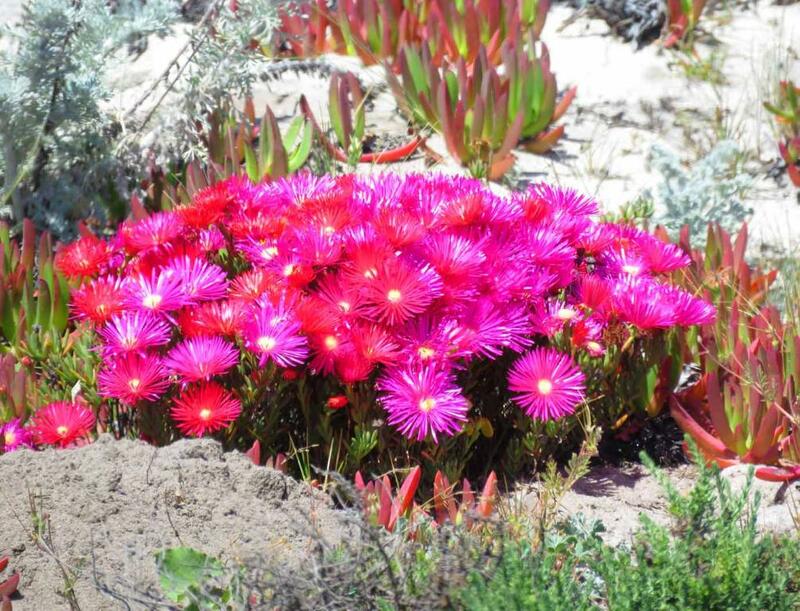 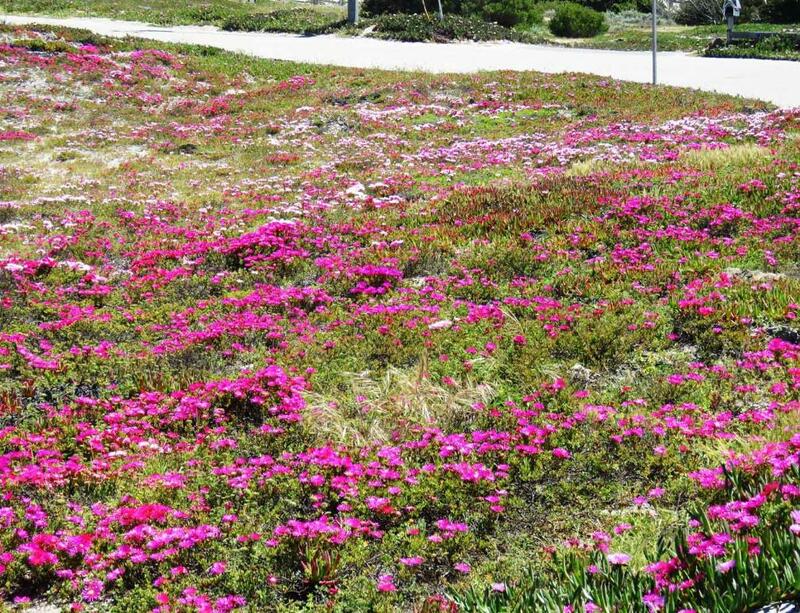 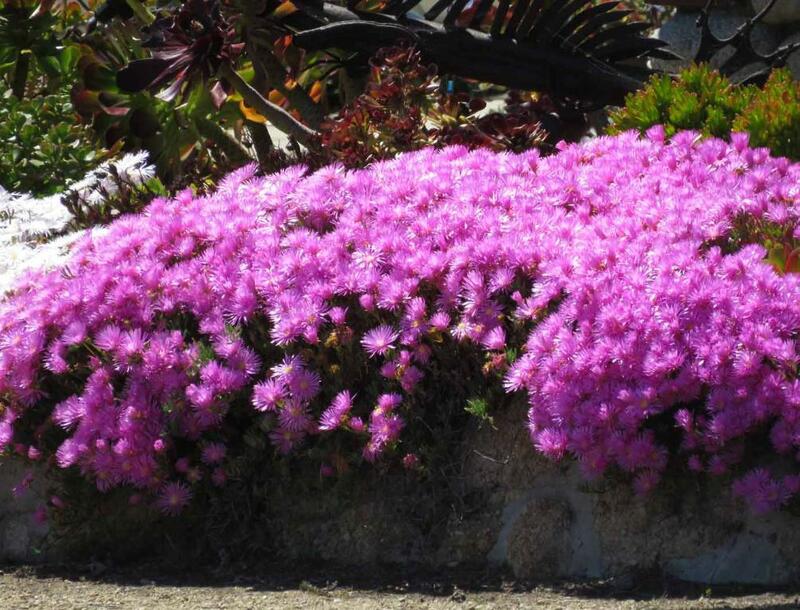 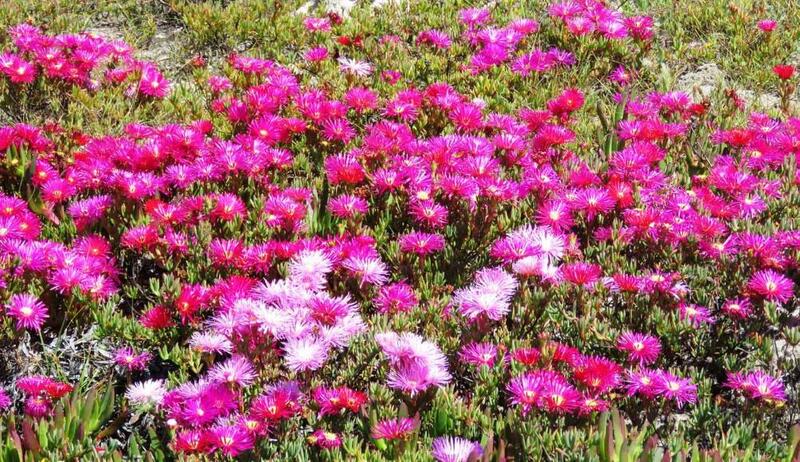 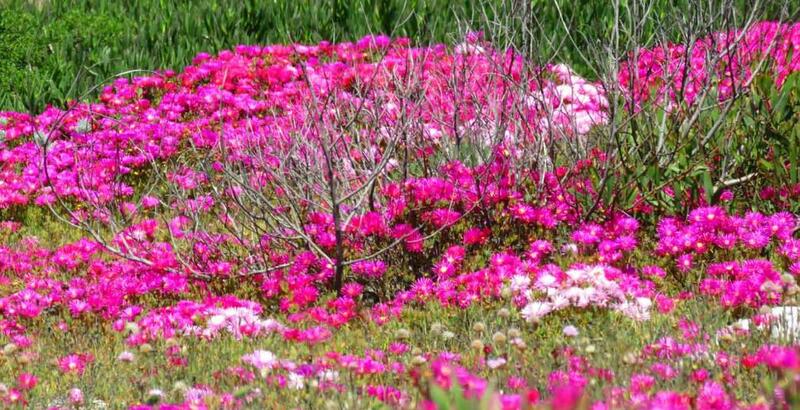 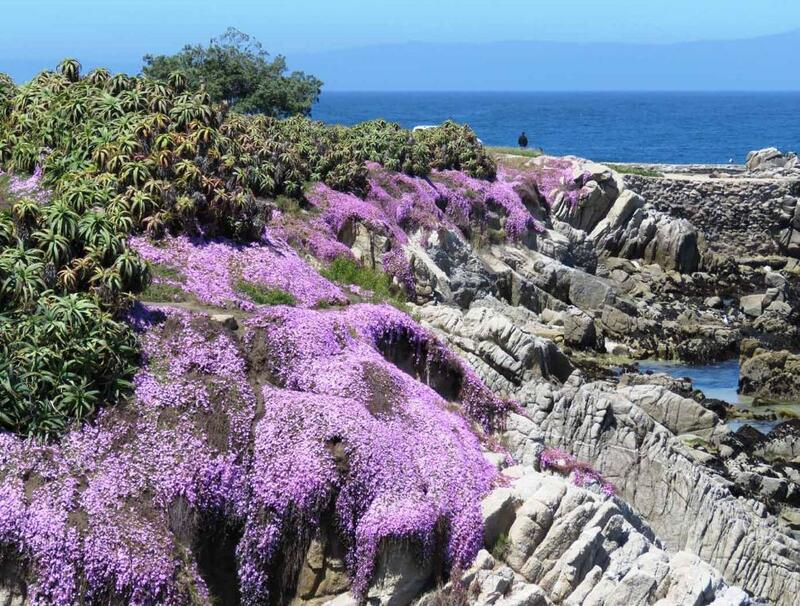 The drapery of the ice-plant pink flowers down over the cliff of the rocky shore. 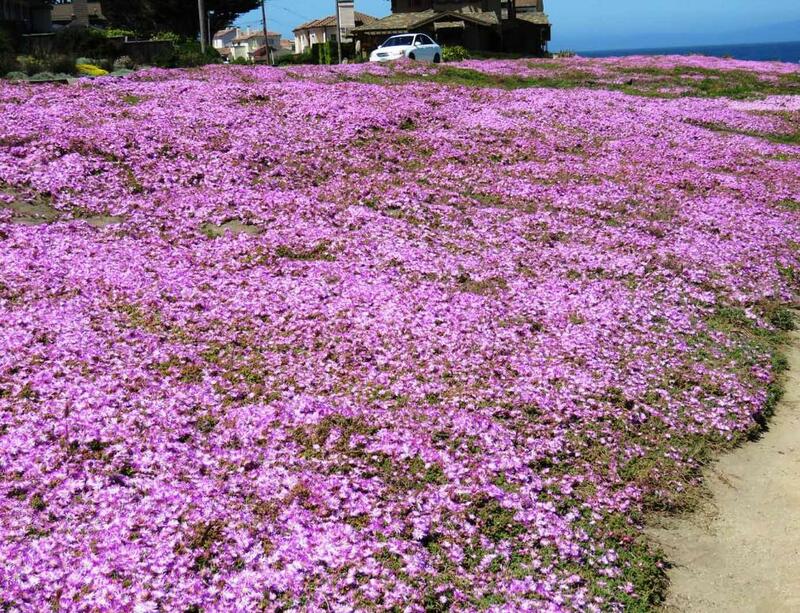 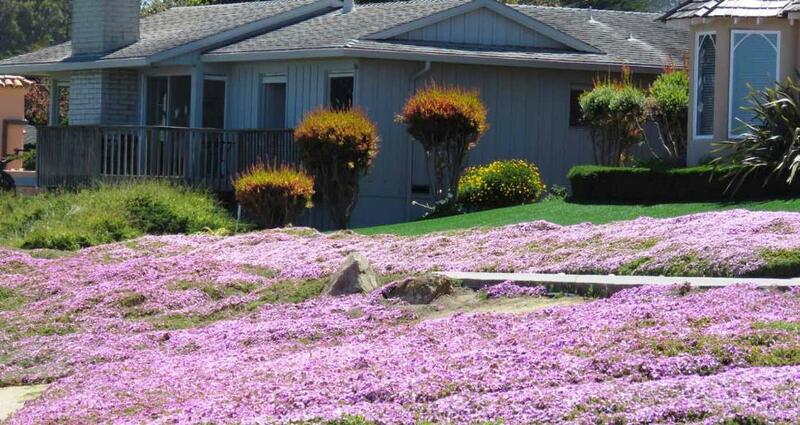 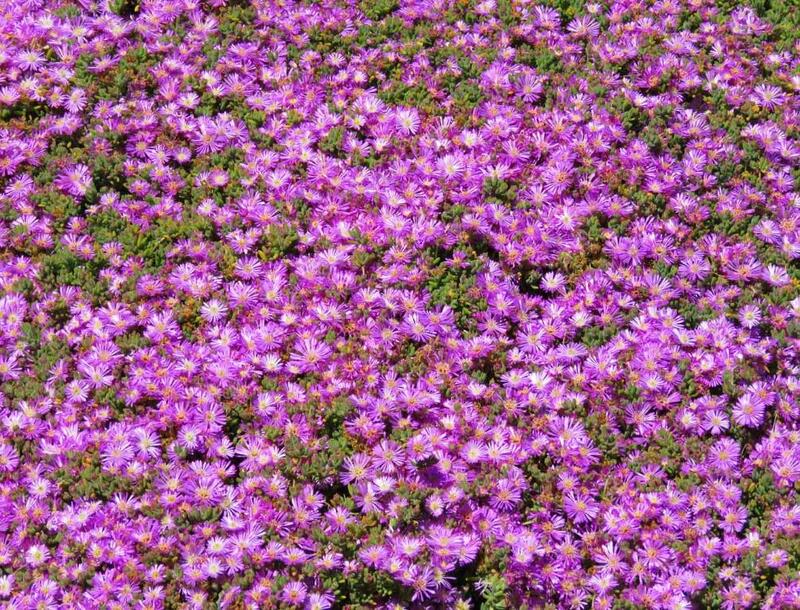 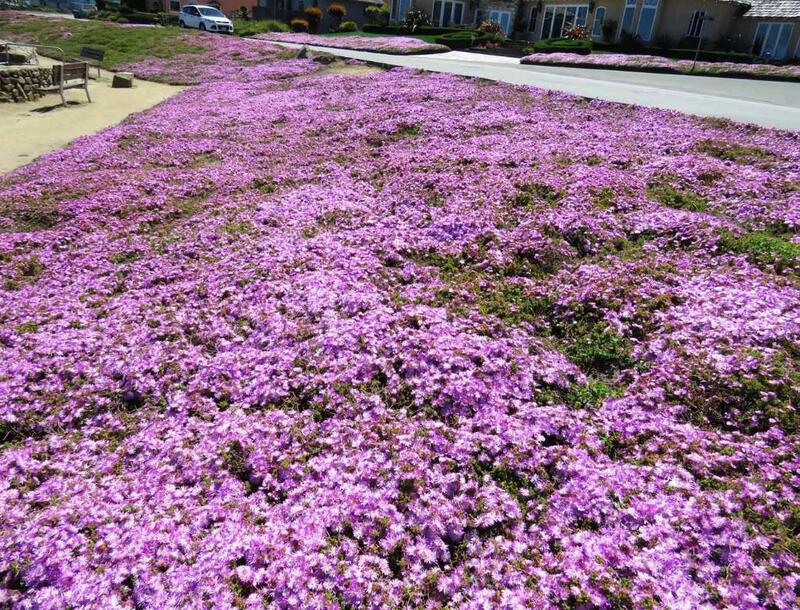 It is magic pink carpet every where you look. 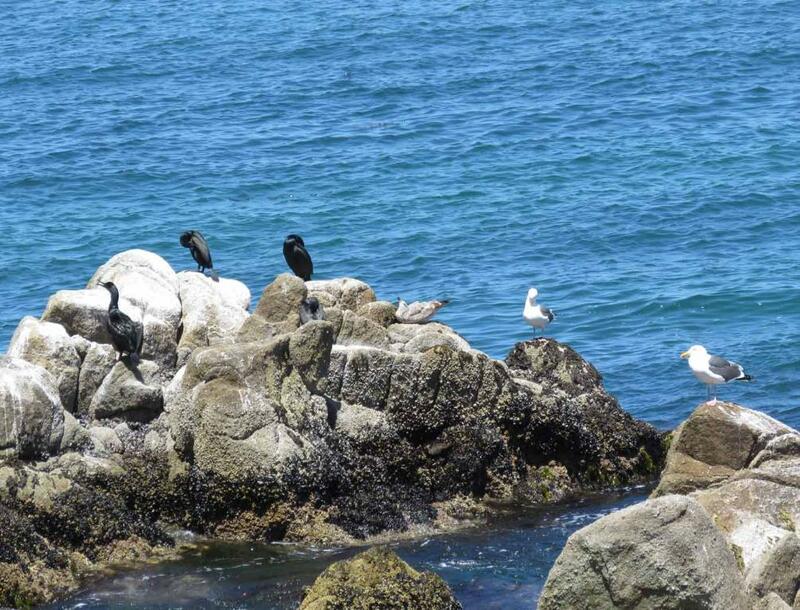 Some seagulls and cormorants on the rocks. 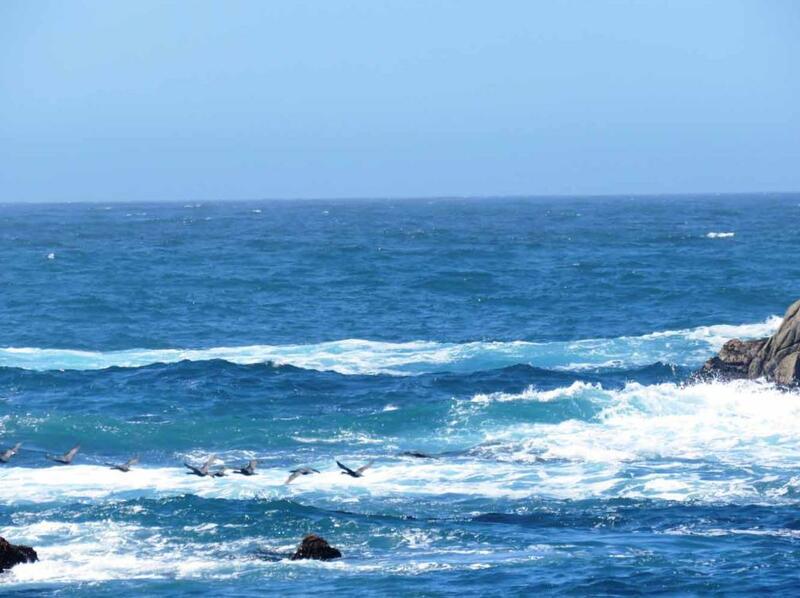 A line of several seabirds flying just above the waves. 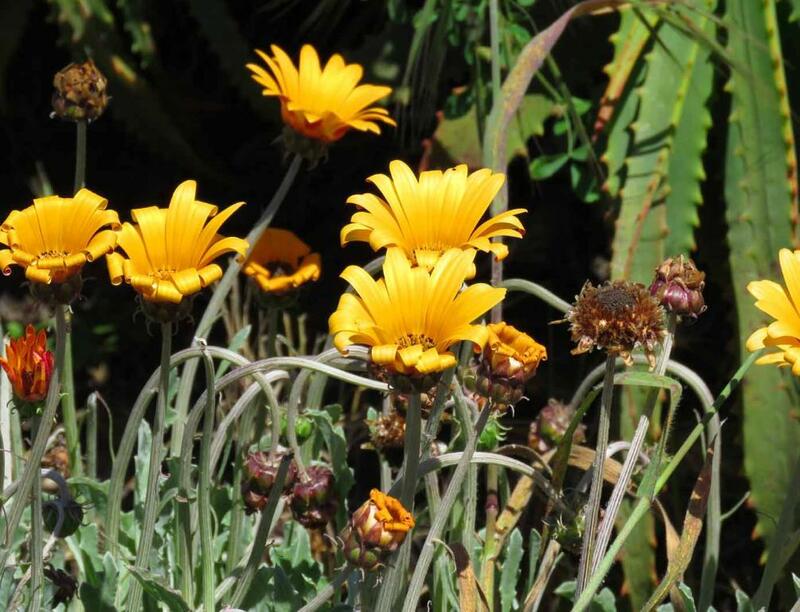 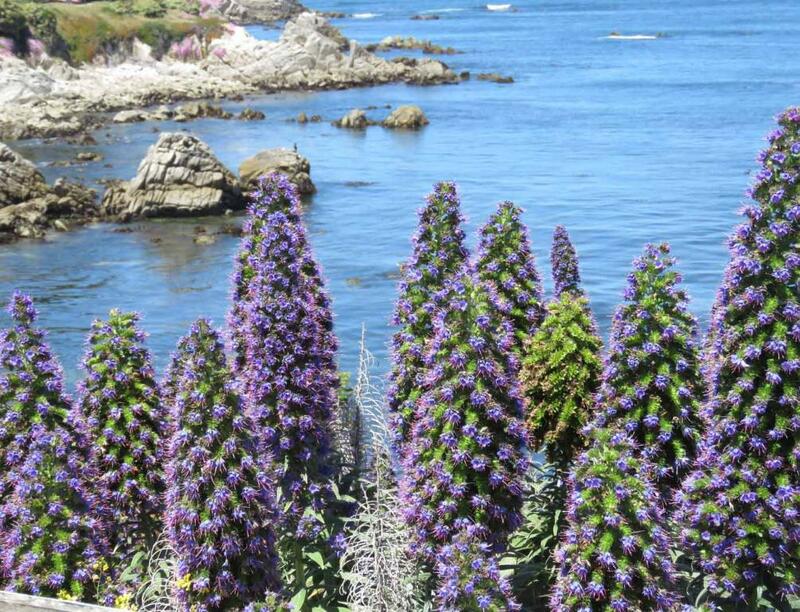 There are also other kinds of flowers along the shoreline of Pacific Grove. 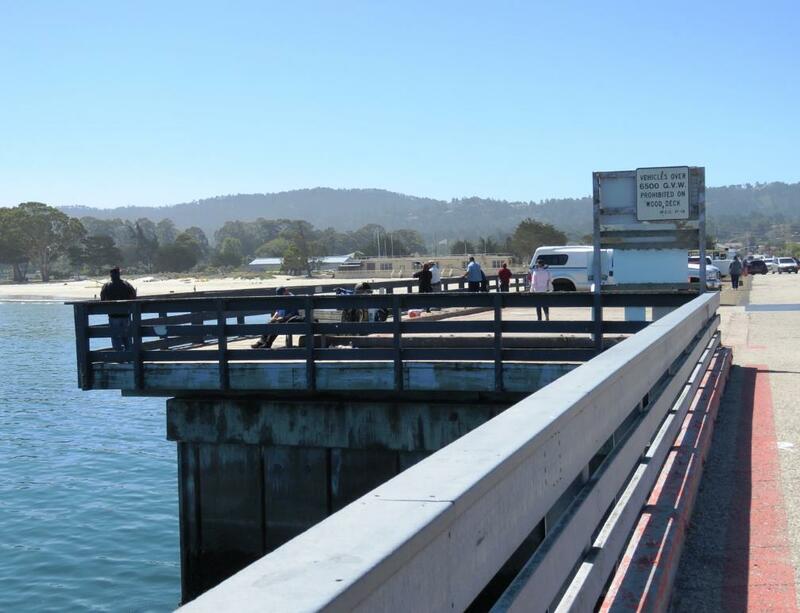 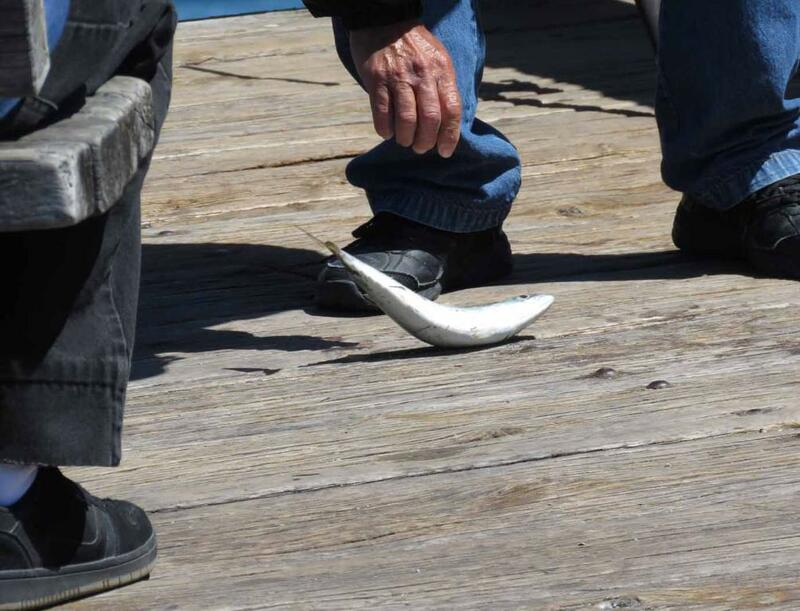 Some people were fishing on the Municipal Wharf in Monterey. 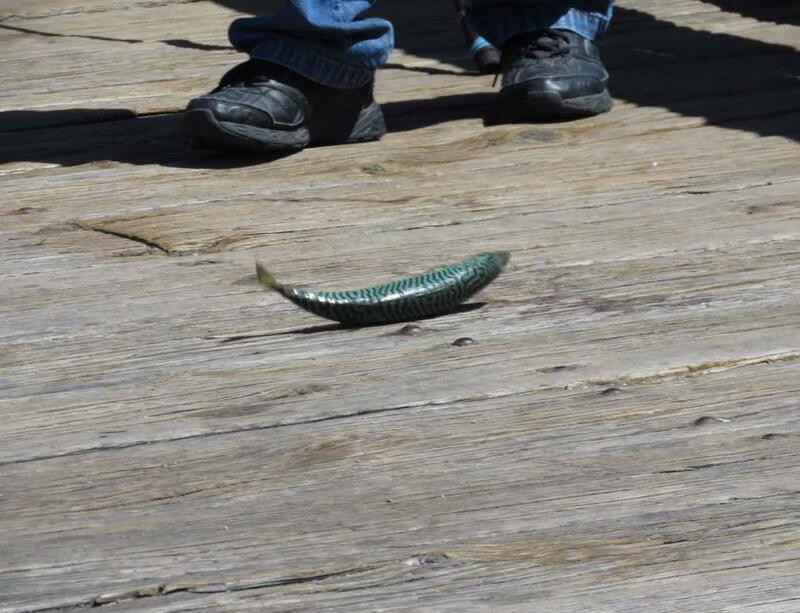 A guy caught a fish from the Municipal Wharf. 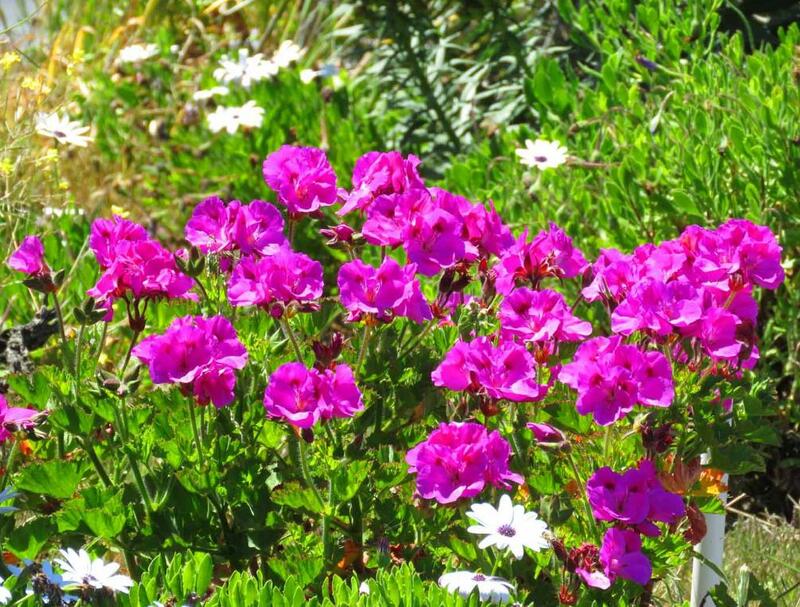 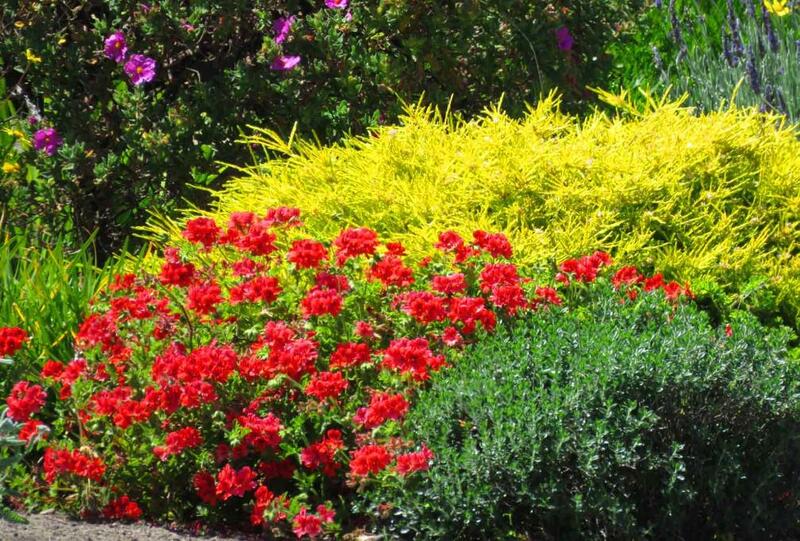 diversity to the flowers and colors along the Ocean View Blvd. 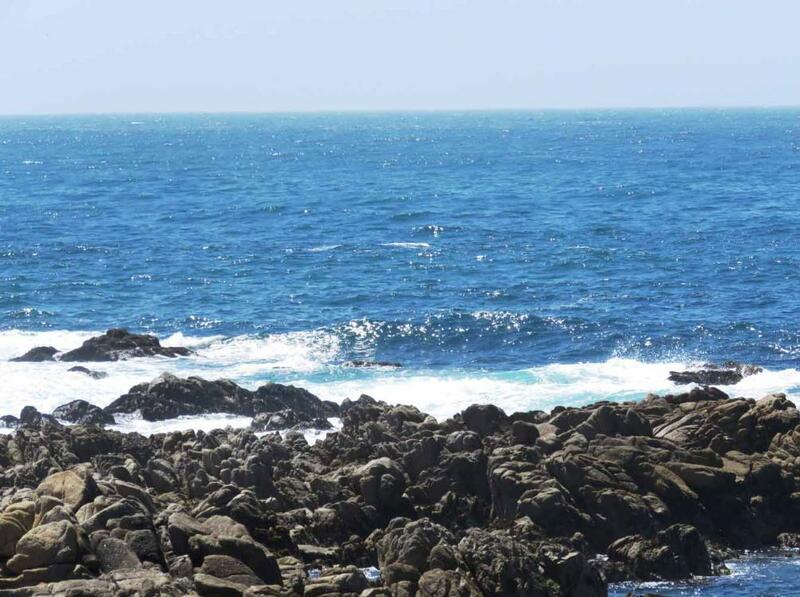 Lots of rocks and great views of the ocean. 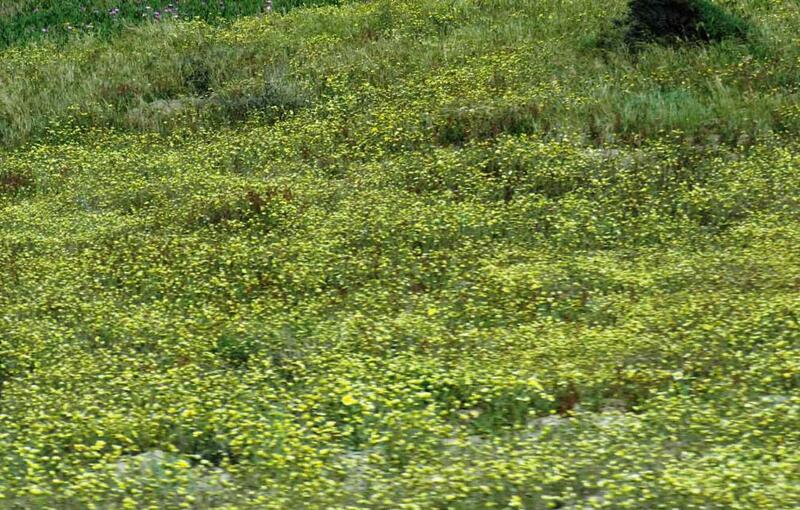 Zoom in for closer views of red wildflowers along Sunset Drive. 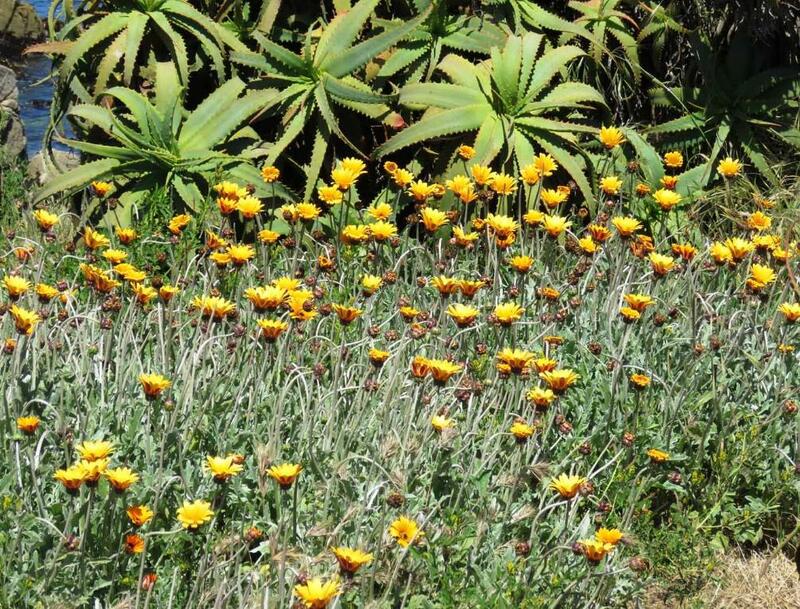 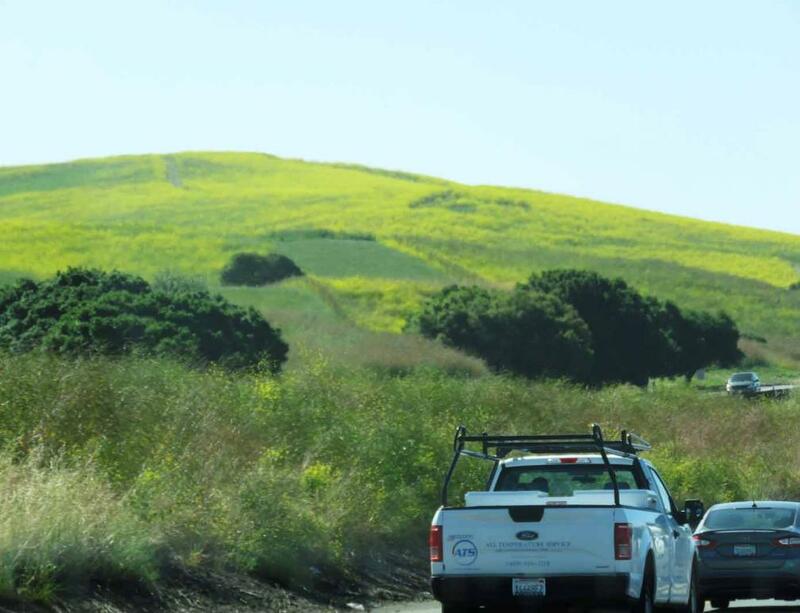 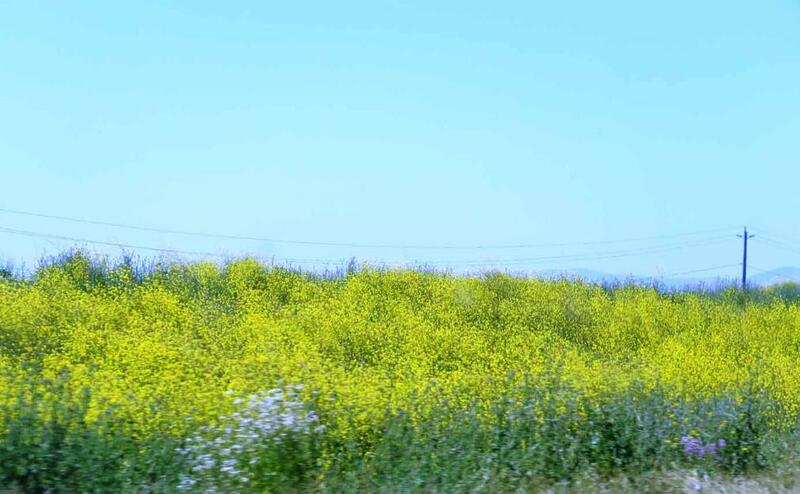 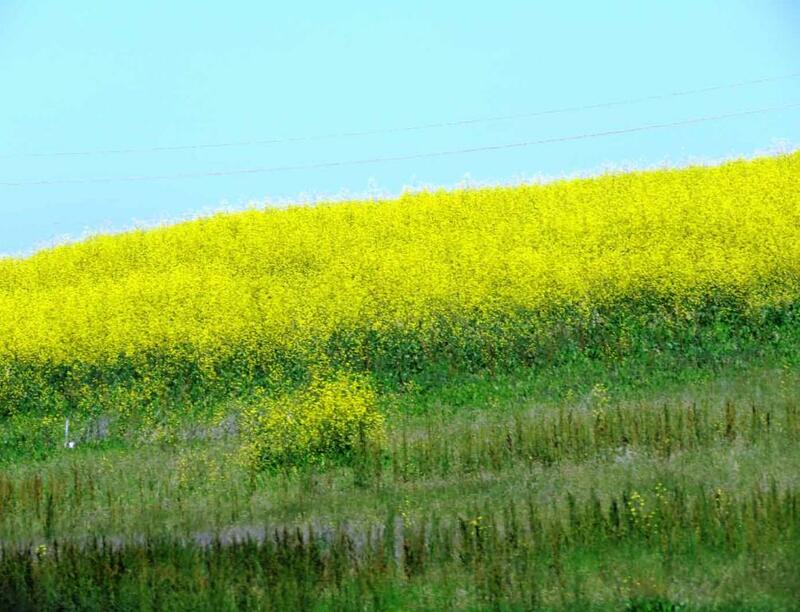 of bright yellow wildflowers on the roadside or on the rolling hills.